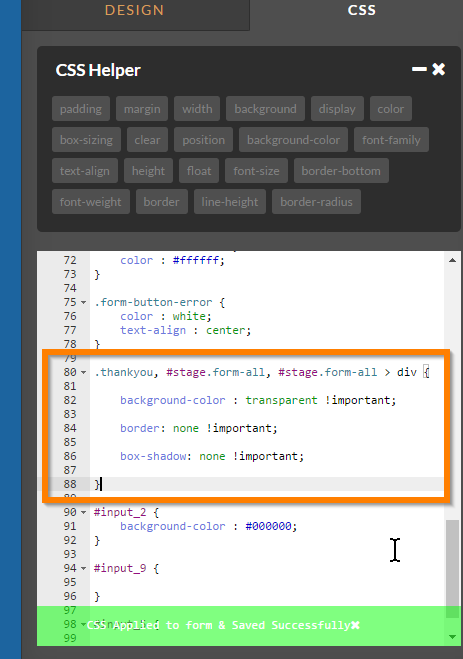 Unable to change background color of "Thank You" page to transparent? 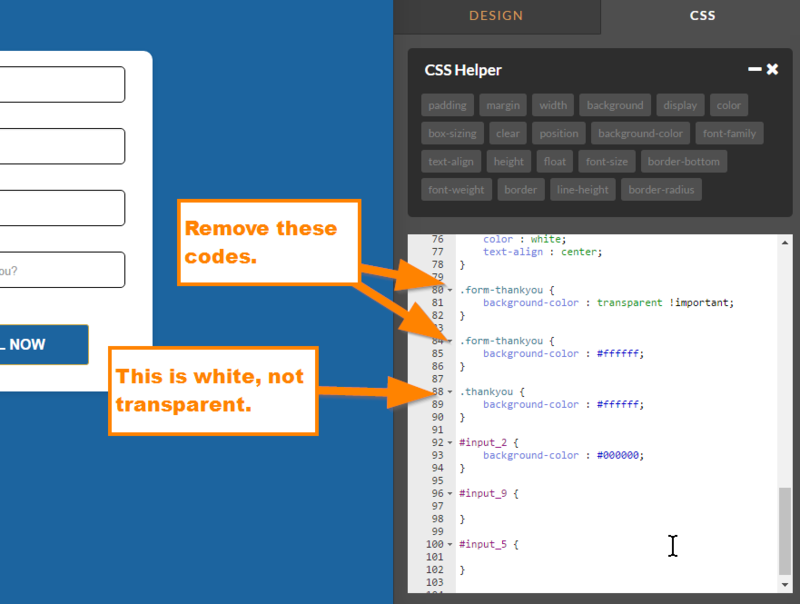 Upon checking your form titled "AS Cargo Care - Enquiry", you have added multiple CSS codes and you have set the .thankyou class to white instead of transparent. I presume you wanted it transparent?